We all don’t have time to go to the dog park every day, but we can change up the scenery for our furry friend once in a while! On a nice day, trek down to Brown’s Island off 7th street and let your dog enjoy the sights and sounds of the flowing James River while gallivanting across the grass and pebbles of the Island. Take a walk down Monument Avenue in the huge grassy medians for an urban oasis of chlorophyll. If your Financial District pup is getting a little stir crazy from the same old spot, walk the extra blocks from your high rise to the State Capitol lawns off 9th street. If the city isn&apos;t your thing Pocahontas State Park has miles of bucolic fire roads and trails. Is your dog a competitor? 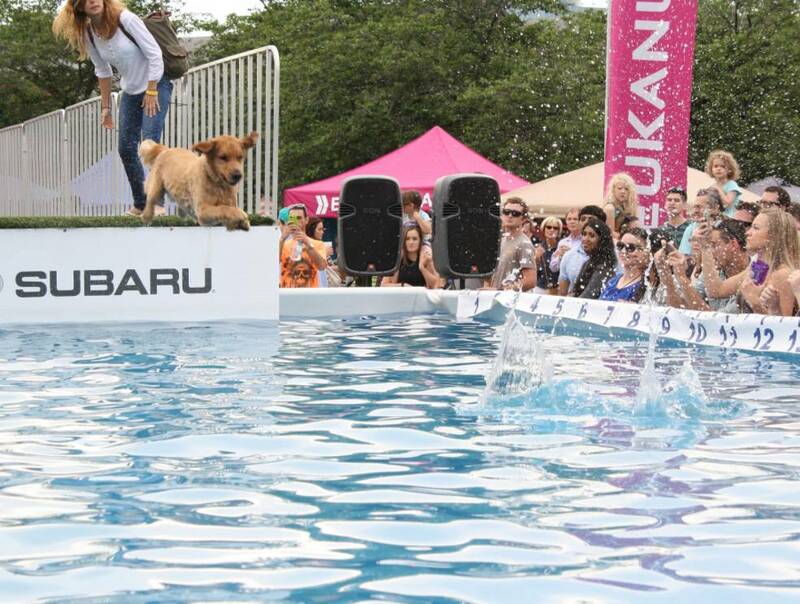 Good, you can enter them in the Ultimate Air Dogs competition at Dominion Riverrock May 15-17. Dogs can also come and watch their favorite flying fidos. Believe it or not, there are pet friendly shops and dining/drinking patios in the Richmond area! Grab a sandwich at Franklin Street Market with your pooch, or enjoy a beer on a nice spring day on Triple Crossing Brewing downtown on Foushee Street, or take a stroll around Stony Point Fashion Park south of the river (and even peak into a few select shops as well). Did the long car ride or even a plane ride in a tiny carrier leave your pup looking a hot mess? Local groomers like The Barking Lot in the Fan and Dogma at the top of Carytown (among many others), can get your prince or princess shiny, fresh, and like new again before you show him or her off to friends and family. Take full advantage of the River City’s name sake and enjoy the James from various access points, including Pony Pasture, Belle Isle, 42nd Street, and Texas Beach, all a part of the James River Park System and romp and splash with your pet on a hot day.